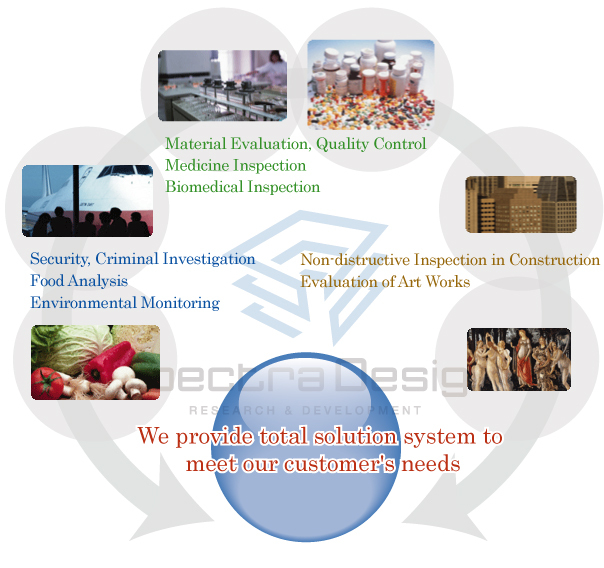 Spectra Design provides simple and convenient optical sensing system to our customers. Spectra design will help our customer by providing the most suitable optical sensing solutions along with our broad experience and expertise over optical measurement. We are conducting a consultation for optical sensing technics with visible light, infrared, Raman and Terahertz. We will address the problems our customers are struggling no matter where it occurs, in laboratories or industrial areas. We are designing and producing a wide variety of spectral devices and image measuring devices, developing spectral analysis, chemometrics and software. Copyright © Spectra Design co.,ltd All Rights Reserved.